Zimmerman’s is your source for quality furniture that can be custom built to your specifications, or come sourced from a manufacturer you know and trust. We offer furniture design, manufacturing, and sales from our East Islip, New York facility. 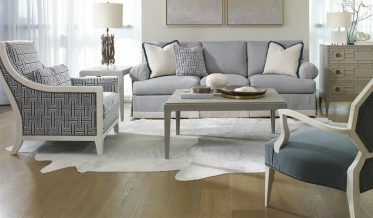 We also carry the same quality furniture as more expensive stores such as Crate and Barrel and Pottery Barn. If you are an interior designer, then we are the only source you need for all of the furniture that will satisfy your customers. We can work with your custom designs to deliver unique results for any of your jobs. Zimmerman’s has spent decades establishing a reputation as a reliable furniture supplier for homeowners throughout the New York Tri-State area. We can supply you with the quality furniture you see in other retail stores for much lower prices. Our sales experts can help match the perfect furniture to your every need, and we carry a wide selection of products from the manufacturers you trust. Tell us what type of furniture you have in mind and we will show you exactly what you are looking for. Our pricing fits your budget, and our experience can help you to choose the perfect furniture for any room. We invite you to give us a call or visit our facility today to get your questions answered by one of our experts. You can also reach out to us on social media and ask a question, or see what our satisfied customers have to say about Zimmerman’s quality and service. At Zimmerman’s, we have access to any items you might need to complete your vision. Take advantage of our free design consultation and let us bring your ideas to life!